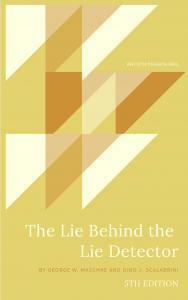 The Lie Behind the Lie Detector is now out in its fifth edition. The free book outlines the history of the lie detector, the science behind polygraphs and why they are highly unreliable bordering to plain pseudoscience. The authors George W. Maschke and Gino J. Scalabrini, who runs the website AntiPolygraph.org, takes the reader through the most common misconceptions about the lie detectors and tell the stories about some prominent scandals involving the misuse of lie detectors. The book even has several chapters on how to manipulate the results of most common used polygraphs. It is easier than you might think.